He wept to think that his dreamless slumber had spanned the entire lifetime of his first child. When he could face the ordeal, he would summon the records that were waiting for him in the memory banks. He would watch his son grow to manhood and hear his voice calling across the centuries with greetings he could never answer…One day the pain would be gone, but never the memory. You don’t hear the word “subtle” tossed around much in discussions of Christopher Nolan’s Interstellar, but here’s something I found quite nuanced about its first hour: The sly hint of a smile that creeps on Cooper’s (Matthew McConaughey) face whenever he discusses the idea of going off into space. For all his insistence that he has a family he needs to care for, Coop can’t help but grin – ever so slightly – when Professor Brand (Michael Caine) tells him that he’s the right man for a daring new space mission. And watch his eyes as he tries later to justify leaving to his distraught daughter Murph: “They chose me, Murph,” he says, and he seems to be beaming – more a proud child than a regretful father. Coop, whose very name suggests restlessness, and whose one previous attempt to go into space was aborted before he left the stratosphere, basically is a child. Early on, when Murph comes to the breakfast table with a broken lunar lander toy from her bookshelf, he says, “What’d you do to my lander?” Coop’s daughter walks around school with his old science textbooks. He’s a loving parent, but not a particularly attentive one. He forgets parent-teacher conferences; he doesn’t know how to deal with his daughter’s problems; he’s more excited about chasing stray Indian spy drones than he is about getting his kids to school on time. He’s a dreamer, out of his time and place. Interstellar initially positions itself as Coop’s thwarted dream of flight finally coming true, but over the course of the film, our hero’s dream – as dreams often do in the movies – becomes something of a nightmare. One of Nolan’s greatest strengths has always been his control of tone, and, not unlike Inception, Interstellar is a blockbuster bathed in sadness and desolation. Cooper and his team’s journey is a bleak, lonely one. They travel the far reaches of space and find themselves on empty, barren planets – one an endless stretch of ocean, the other an endless stretch of ice. Meanwhile, Earth is turning into an endless stretch of dust, filled with fewer and fewer people. Humanity seems like an old, dying patient that no one visits anymore – managing from day to day but quietly slipping away. That subtext, of course, is the very subject of the Dylan Thomas poem that’s repeated (probably one too many times) throughout the film – a poem that doubled as a letter from the poet to his father, asking him to fight even as he lay on his deathbed. The first time we hear it in the film, it’s over images of Coop’s spaceship finally leaving Earth. The Endurance...Look closely, it's a clock. As I’ve argued elsewhere, Nolan likes to structure his films around a central idea, then works that idea from all possible angles. In The Dark Knight Rises, that idea was hope; in Inception, regret; in The Dark Knight, guilt; in Batman Begins, fear. In some senses, this is just storytelling 101 – find a theme and stick to it. But Nolan’s works are distinguished by the single-mindedness with which he pursues these concepts; the films become cinematic fugues built around a single motif. 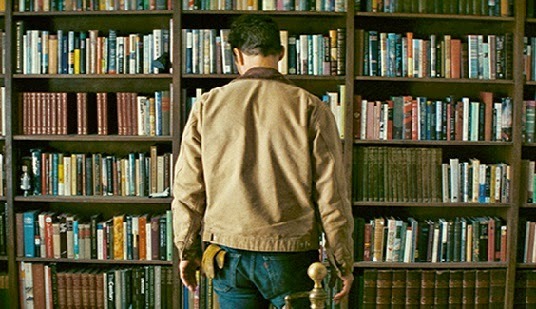 So, what’s the big idea in Interstellar? I think, on some basic level, it’s survival, in all its many forms – as both humanity’s savior and destroyer. 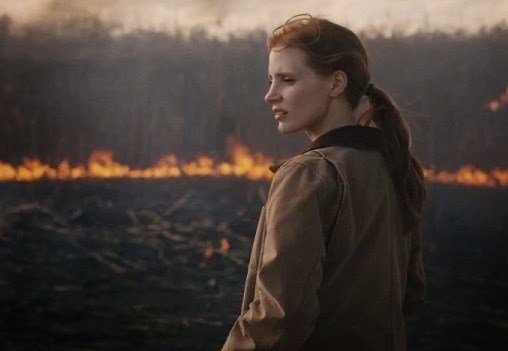 In the film’s final act, however, these two narrative worlds – Earth and Space, Family and Species, Mourning and Survival – converge, as Nolan intercuts his action scenes between the film’s two realms. When Mann and Coop fight on the ice planet, the film cuts back and forth with Murphy driving back to her brother Tom’s house to save her sick nephew, also named Coop. (Interesting confluence: Both of these scenes ultimately turn on a woman trying to save someone named Coop from suffocating.) Thus, Murphy’s return to her childhood home precipitates her re-confronting the “ghost” in her room, which turns out to be both a memory of her father and literally her father communicating to her from another dimension. For the Coop we knew earlier, this predicament would probably be a living nightmare. But over the course of the film, his dream has gradually gone from one of exploration and flight to one of return. All of Interstellar’s talk of black holes and wormholes; all those massive machines spinning and connecting across the vast IMAX chasms of space; McConaughey riding the universe’s biggest wave; that stentorian score, with its ticking clocks doing constant battle against funereal organ chords…It’s all been leading to this moment – a man replaying the moment when he broke his daughter’s heart. And now, by essentially reliving his separation from Murph over and over again, Coop has the chance to correct it. No, he can’t change the past. He can’t keep himself from leaving. But he can want to stay. But what does it actually mean to survive? That’s the question that Interstellar has been asking throughout, in one form or another. And now, we get one final variation on the idea. It could be said that the day your children are born is also the day that the doors of perception become both more present and more closed off than ever; you become more intimately aware of a future without you in it. (You obviously don’t need to be a parent to feel all this, but becoming a parent certainly clarifies it for many of us.) 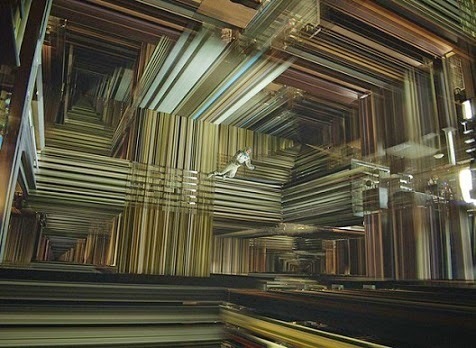 After the tesseract closes on him, Coop wakes up on a space station orbiting Saturn, many decades in the future. There, he sees Murph, now a very old woman (played by Ellen Burstyn), and he’s given a privileged glimpse into the secret, unstated dream of every parent: To know that their child will one day die, at a very old age, happy and surrounded by their loved ones. Not only that, but he also gets a glimpse of his own survival. Because what’s really survived is his memory, preserved by Murph herself. Coop’s presence here as a person – as the flesh and blood character played by Matthew McConaughey – is at this point pretty much a glitch in space-time, and soon to be corrected. His being here doesn’t feel right – something Murph confirms when she tells him that “no parent should have to watch their own child die.” Appropriately, Nolan gives these scenes on the space station the quality of a waking dream, as if Coop is drifting through these spaces. You could say that he hasn’t stopped being a ghost. But in saying goodbye to him one last time, Murph gives her father a final parting gift: She gives him back his dream. For just as Coop got to relive the moment of his departure earlier and learned to want to stay, now Murph, too, relives it. And this time, she tells him she wants him to leave. But Coop has never really belonged anywhere, has he? “You were born 40 years too late, or 40 years too soon,” his father-in-law (John Lithgow) told him earlier in the film, suggesting that his place was not on this Earth. But he couldn’t really find a place out in space, either. If you think about it, his journey has always been an elaborate game of planetary musical chairs. 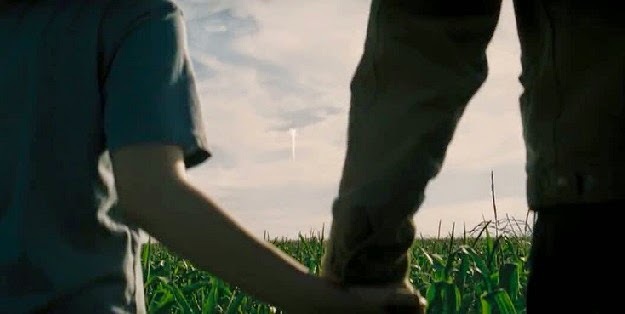 The other worlds in Interstellar were always referred to as if they already belonged to the people who landed there first: Miller’s, Mann’s, and Edmunds’s. Even the humans of the future don’t quite need him. When Coop learns that the space station at the end of the film is called “Cooper Station One,” he remarks, "How nice of them to name it after me" – only to discover that the station is actually named after his daughter. And so, he remains as much an impulse as a man. His place is still out there, somewhere. Is it on Edmunds, “our new home,” where a similarly ageless Dr. Brand (Anne Hathaway) has already landed, ready to start a new human colony? That’s certainly the implication. But we never see it. The last time we see Coop, he’s vanished once again into the darkness of space – still an eternal wanderer, but finally at peace with his dreams of flight. * I'm grateful to my friend Ali Arikan for drawing my attention to the film's resonances with Clarke's novel. Those of you who can read Turkish would be well advised to read Ali's review, here. In my interpretation of the ending, once Coop enters the black hole, everything that follows is in his mind. Earlier in the film, Matt Damon's character states that before dying, we see our loved ones and the world as we wished it was. 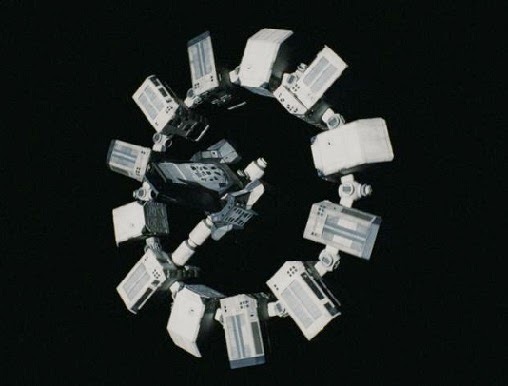 After entering the black hole, Coops sees himself breaking his daughter's heart by leaving, helps her solve the "gravity problem" and save the human race, and finally miraculously gets to see his daughter on a space station that is far more advanced than the station as represented on Earth. We even see Anne Hathaway's character starting a new colony on the planet her lover had explored. It's all in Coop's head, imagining not only that he saved his daughter, but humanity as well. The film ends with the extinction of humanity. I agree that there's a certain wish-fulfillment quality to those final scenes on the space station, but I don't read it as purely all in his mind. And I definitely don't think the film ends with the extinction of humanity. (Otherwise Coop's sacrifice wouldn't make any sense.) Damon's character says you'll see your kids before you die, but he doesn't say anything about seeing the world as we wished it was (at least, not that I recall). I think Nolan, despite what people say about him, is a pretty subtle director, and he has no problems with filming the space station scenes as if Coop might still be a ghost, to give it a certain grace note, without necessarily saying that he's dead or dreaming or anything like that. It's perhaps open to interpretation. But I don't think INTERSTELLAR is meant to be a film with that kind of coal-black unhappy ending. Like I say in the piece, I don't think Nolan is as nihilistic as people sometimes make him out to be. Liked this. Changed the way I thought about the movie. Felt it was like one of those Hollywood apocalyptic movies, where the hero survives and saves the world. Now I feel melancholic... Thinking about coop. Keep on writing stuff like this. Fantastic piece. Also interesting to see it as a continuation from Borden to Cobb to Cooper. Each isolated by their work and regrets but finally reaches their children in the end. All parallel to filmmaking. Interstellar is his first film (I suppose TDKR too) where the protagonist is freed in the end. Btw do you have a fave Nolan film? Or one you think that's his best? Andy - it's a tough call on my favorite Nolan film. Probably a toss-up between The Dark Knight and The Prestige. Though Interstellar and Inception are right up there as well. Christopher Nolan's latest exercise in devising narrative lines that run laboriously in different locations and on multiple timescales to no great effect, other than to tell you that love will find a way. The story is pure excellence. The acting is fantastic. This is honestly one of the greatest films ever made. Very good article. Thanks a lot for sharing it. Take a look at this site if you need to buy discussion board post and free some time for personal business.